There will be an amenity fee for all reservations effective May 1, 2017. 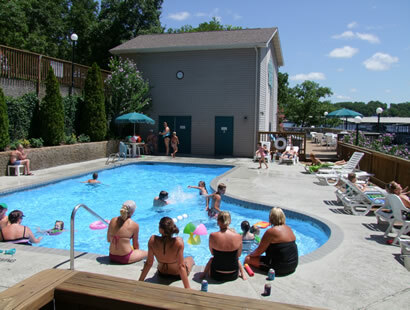 Lakewood Resort is recognized as an RCI Gold Crown Resort offering a complete family vacation experience. This RCI program recognizes resorts that have attained the highest level of excellence in resort accommodations and hospitality. We hope your stay will be one of the best ever! 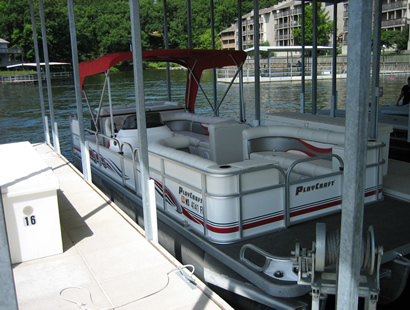 We offer deck boats, pontoons, and a fishing pontoon, available from April through October. Hours vary with the seasons. 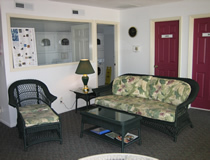 Reservations are handled through the Resort Office, no more than one day in advance. The Marina is closed on Saturday. 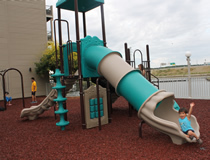 Ski equipment and tubes are available for rental with the Lakewood Rental Boats only. Lakewood Resort offers a limited number of slips for docking your private boat. Slips are limited so you need to make reservations for dock space prior to your arrival. 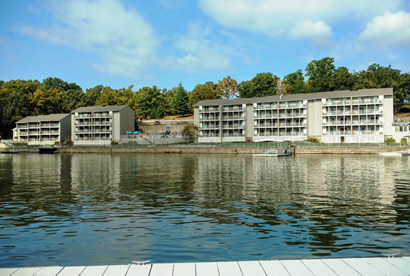 The boat launch is two miles from the resort, and directions will be provided upon your check-in. Limited boat trailer parking is available on site. You can contact the State Park Public Launch Facility for fees and availability at 573-348-1233 if your boat is larger than our slips. We are unable to dock sailboats. Pool is open from approximately mid-May through October (weather permitting). Pool Hours are from 9am ~ 10:00 pm. There is no lifeguard, so swimmers should practice the Buddy System. Summer hours are from 10:00 am to 10:00 pm. Winter hours are from 10:00 am to 9:00 pm. For Insurance and Health Reasons No One under the age of 14 is allowed in this area. 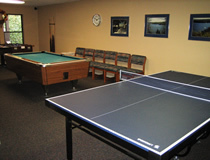 The Recreation Room is located on the lower level of the Resort Office building. Summer hours are from 8:00 am to 10:00 pm. Winter hours are from 8:00 am to 9:00 pm. For Insurance and Health Reasons No One under the age of 16 is allowed in the exercise area. Ping pong paddles, board games, playing cards, puzzles, basketballs, tennis raquets, etc., are available for check-out in the Resort Office. The fishing dock is to be used for fishing only. There are fishing beds located under this dock so no swimming is allowed. Fishing equipment is available for rental from the Resort Office. Non-resident Licenses are required for anyone over 16 years of age, and are available at the local bait and tackle shops. 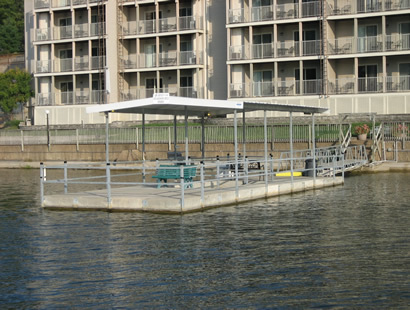 This dock is located at the end of the cove and is for swimming and sunning only. There are no lifeguards, so please practice the buddy system. There is no fishing allowed from this dock. Summer hours are from 8:00 am to 10:00 pm. Winter hours are from 8:00 am to 9:00 pm. Detergent and Fabric Softener are available for purchase at the clubhouse. The court is available during the daylight hours. 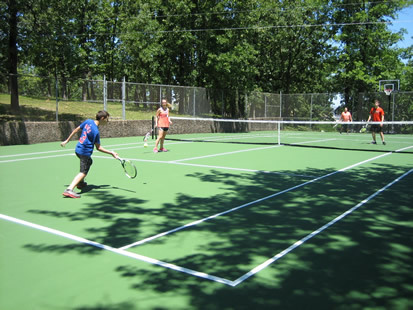 Tennis racquets are available, complimentary at the Resort Office. 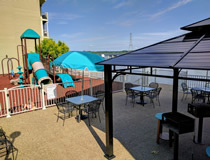 We look forward to your upcoming visit to Lakewood Resort. Detailed arrival information will be mailed approximately two weeks prior to your arrival giving you directions and Saturday check-in hours. If you cannot arrive during the listed check-in hours, you must call for a late arrival. We do not offer 24-Hour Check-In. 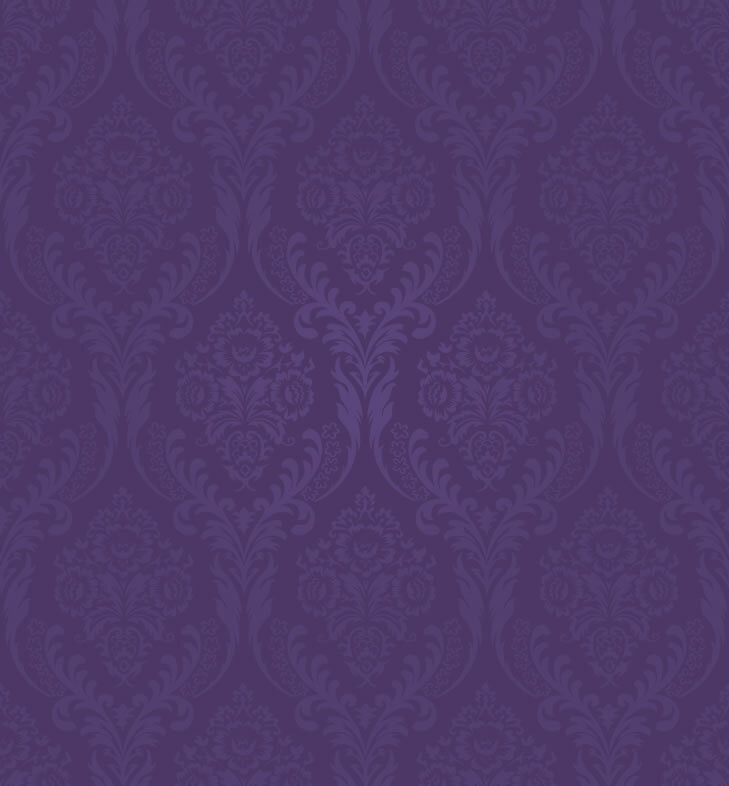 We have staff On-Call until 10pm for late check-ins. If you are unable to arrive by 10pm, please contact our office to make arrangements to check-in the following day. Master Card, Discover or Visa is required at Check-In. Guests must be 21 years or older. Fax, Postal, Movie Rentals, Recreational Equipment. We have a limited number of Pack n' Plays and Hi-Chairs available, so please call ahead to reserve. 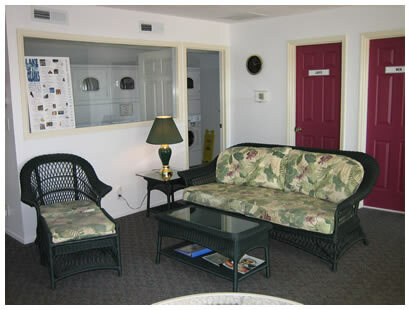 We will see that your unit is cleaned, and ready for occupancy prior to your arrival. If your stay is more than one week, your unit will be cleaned on Saturday. 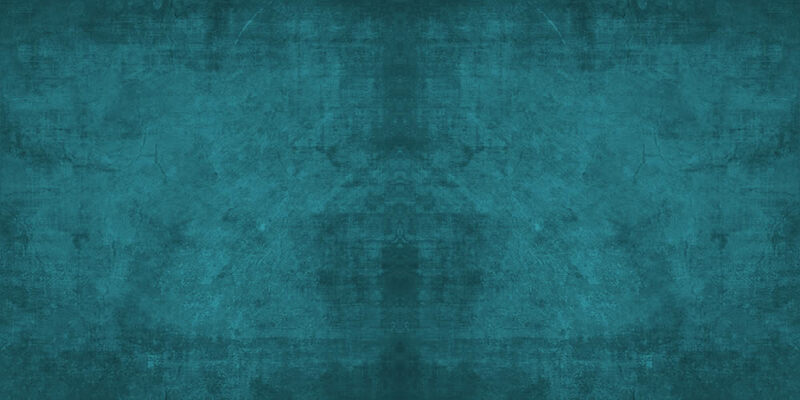 We offer a mid-week towel exchange and complimentary pool towels. Telephones are provided in each unit. Local calls are no charge. All long distance calls must be placed with a calling card. Each unit also has password protected Wi-Fi and a DSL connection. A guest computer is available for use in the Resort Office, during regular office hours. We request that you limit your use to 30 minutes or less. No person under 18 years of age may use the computer unless accompanied by a guardian. To receive a call from your family and friends, dial 573-348-4019 and enter your unit number at the prompt. Parking is provided on the level in front of the units. Parking tags are provided at check-in, and all vehicles must be registered with the Resort Office. We are unable to accommodate more than two vehicles per unit. There is no R/V or Travel Trailer parking at the Resort. 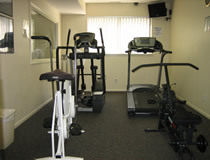 These facilities are available within 10 miles of the resort. Fees do apply for these offsite facilities. The entire Lakewood Staff looks forward to your upcoming stay with us. Should you have any questions or need additional information about your stay. Please feel free to contact our office. We love them too, however, no pets are permitted on the Lakewood Property. $100 fine will be assessed if any pets are discovered on the property at any time. Please kennel your pet prior to your arrival. This rule is strictly enforced. There are no exceptions. Please contact the resort office for further details.